Kyle Van Noy ran into an issue at Salt Lake City Airport. An airport security mix-up helped a Utah principal land an appearance by an NFL player at her school. 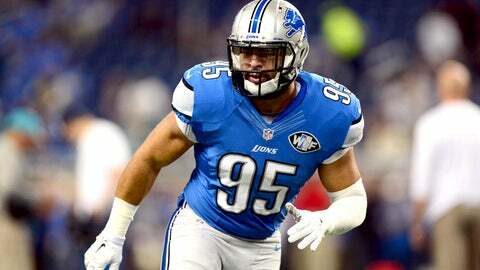 Kyle Van Noy, a Detroit Lions linebacker and former Brigham Young University star, and Ilene Strong, principal at Traverse Mountain Elementary in Lehi, mistakenly picked up each other’s laptops from security bins at Salt Lake City International Airport last week. Van Noy was on his way to Miami when he opened the laptop to find Strong’s email was open, The Daily Herald of Provo reported. He contacted Strong’s secretary, who informed the principal of the mix-up upon her arrival in Minnesota. Strong then was put in contact with Van Noy by Reno Mahe, another former BYU football player who has children at Traverse Mountain Elementary. Van Noy, the 40th pick overall in last year’s NFL Draft, showed up at the Provo-area school on Thursday to switch laptops. While there, the Reno, Nevada, native visited 35 classrooms and posed with about 1,000 students in photos. Strong said she quit worrying about her laptop after she mentioned the name of the person who mistakenly picked it up to her husband, Greg. "I just happened to say, `What would some stranger named Kyle Van Noy do with my laptop?’ " Strong told The Daily Herald. "Greg’s eyes got huge. It was a good thing I said his name. He just started laughing and told me he was a professional football player."